Coccidioides immitis and C. posadasii are the causative agents of coccidioidomycosis, or San Joaquin Valley Fever. The disease was first described in 1892 in Argentina, and its distribution and frequency investigated into the mid-1900s. National reporting has measured a recent increase in disease burden in the United States. All mammals appear to be susceptible to infection; however disease manifestation varies from asymptomatic to lethal. Several thousand cases of the disease are reported annually in the United States. We discuss the epidemiology, diagnostics, virulence factors, and treatment options for coccidioidomycosis. 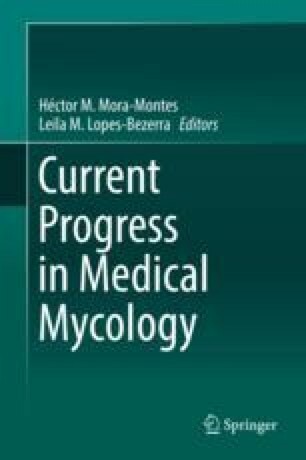 We wish to thank Dr. John N Galgiani and Dr. Neil Ampel, University of Arizona Valley Fever Center for Excellence, University of Arizona College of Medicine for critical comments in the preparation of this manuscript.